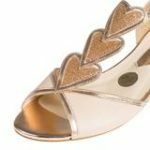 Stylish and fun three heart T-bar flat sandal, with fine glitter inlay. 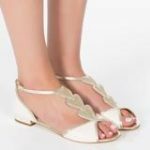 Perfect for destination weddings. 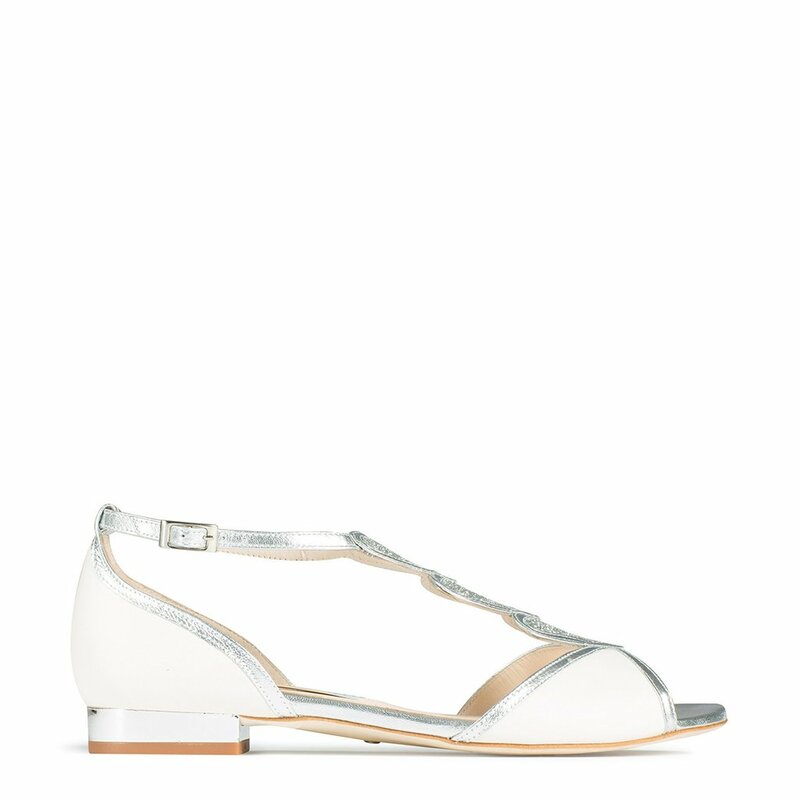 Upper in ivory leather and pale silver leather detail with fine silver glitter.